Answer: We do not know. Question: How powerful is the human mind? The fact is we do not know much at all about the human mind. We are still not in a position to answer the simplest of questions about the human mind. Our knowledge about the human brain and human mind is, to put it bluntly, inconsequential. This argument is not intended to undermine the progress we have made or the hard work undertaken by dedicated professional students of the mind, but rather to highlight the task ahead. The truth is we have only started to look into the mysteries of the human brain. We are clearly only at the very early stages, perhaps the fetal stages of learning and understanding how the human mind works. The psychology of the evolution of the human mind and brain is one of the most interesting topics in the world. Our fascination with the human brain has of course huge implications for the future of humanity. Humanity’s future is deeply dependent on knowledge which is consilient. The American biologist Edward O. Wilson skillfully explored “consilience” and “consilient knowledge” in his 1998 book Consilience (Alfred A. Knopf, New York). Consilience is what the human mind is all about. We are dazzled, but we are also troubled and perplexed by the mind and brain. If our mind is weak and troubled, our problems multiply and our civilization is stressed. We then enter decline, both personally and in society. 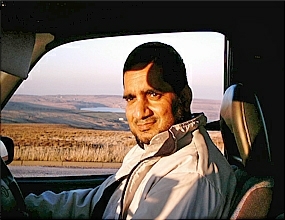 RESTORINGTHEMIND.COM was established by Khalid Mahmood to provide readers from every corner of the globe with an academic discussion and analysis of the human brain and mind. We will create an important forum, and in so doing address ideas and topics that are crucial to understanding the world, our future and the human mind. Khalid Mahmood was born in 1966 in a small town called Jhelum, which is in northeast Pakistan. Jhelum is about one hour’s drive south from the Islamabad airport. Jhelum is a historical town; it is said that Alexander the Great met his biggest adversary Raja Porus in an epic battle on the banks of the River Jhelum. The mind is a powerful organ, as we all know. We should, and must, allow this powerful organ free expression, creative and consilient expression. If we do this, and if we do strive to express our ideas, we will strengthen the mind and indeed restore the mind. We must not fail to rise to our potential. We must strive to restore the mind. Our problems – and humanity’s problems – will disappear when our mind and brain is expressing its potential as well as its knowledge and ideas.